Make your own water balloon impact craters and use math to understand how scientists use crater clues to study our solar system. The History of Planet Earth ▪ Some events happen very quickly; others occur very slowly, over a time period much longer than one can observe. You will need an outdoor area with a safe balcony (or high area) to drop balloons from. You may want to tell your students to wear something that they don’t mind getting wet. Prepare enough water balloons for each team to have 5 balloons. Provide the balloons in the drop off locations in buckets. Also have clipboards and measuring tapes waiting for them. Place the students into five groups to complete the activity. Introduce the subject through the videos and /or PowerPoint. Have students fill out page 1 of the Lab sheet before leaving the classroom. Remind students to measure and record the width of the water balloon (demonstrate to class) before dropping it to form a splash (crater). Give students parameters for how to drop balloons. Have them go outside to drop their 5 water balloons, measuring and recording their results as they go. After cleaning up balloon debris come inside to finish the Lab sheet questions and discuss what students learned. 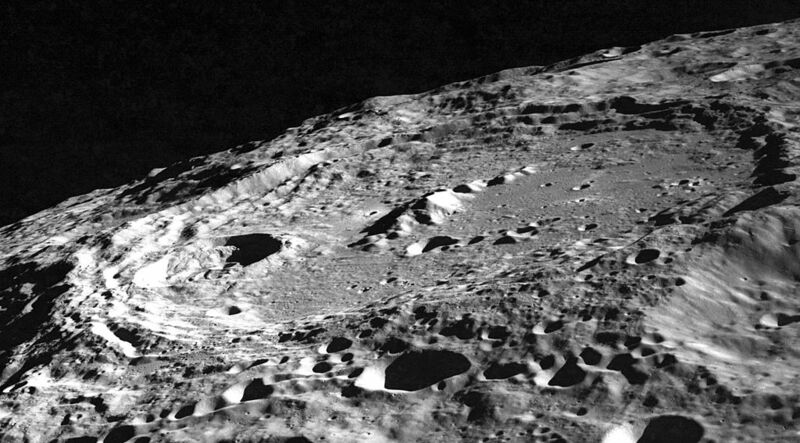 Scientists study the Moon's rocks and surface features to learn how it formed and changed over its long "lifetime." Impact craters and basins are caused when an impactor, such as an asteroid or comet, collides with a planet or moon. The Moon's largest impact basins — those we can see only with our eyes —were formed by very large asteroids or comets striking the surface early in the Moon's history. In this activity students model ancient lunar impacts using water balloons. By measuring the diameter of the crater area, students discover that the Moon's largest impact basins were created by huge asteroids. Like these huge asteroids, the water balloons are destroyed on impact and leave a splash (i.e. a "crater") that is 10 to 20 times wider than the impactor. Impactors are like water balloons because they are destroyed upon impact, and very little of the asteroid or comet remains. Remnants of asteroids found on a planetary surface are called meteorites. A very good introduction to the moon and the history of impact craters for older grades.